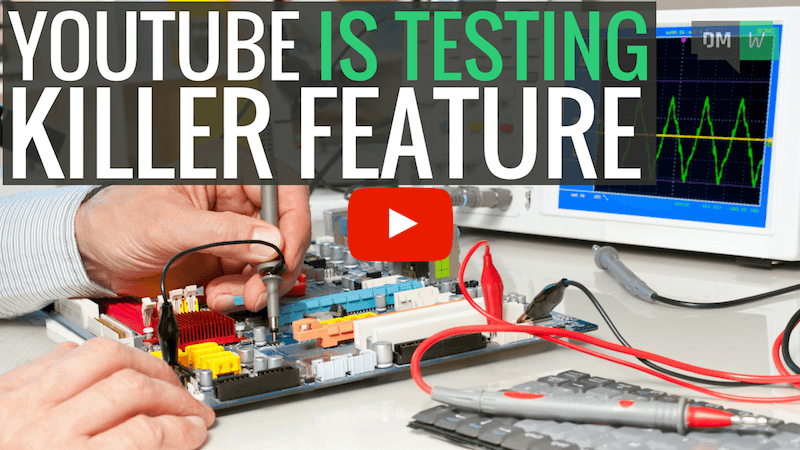 In exciting video marketing news this week, YouTube has been spotted testing live watch counts in the Android YouTube app. 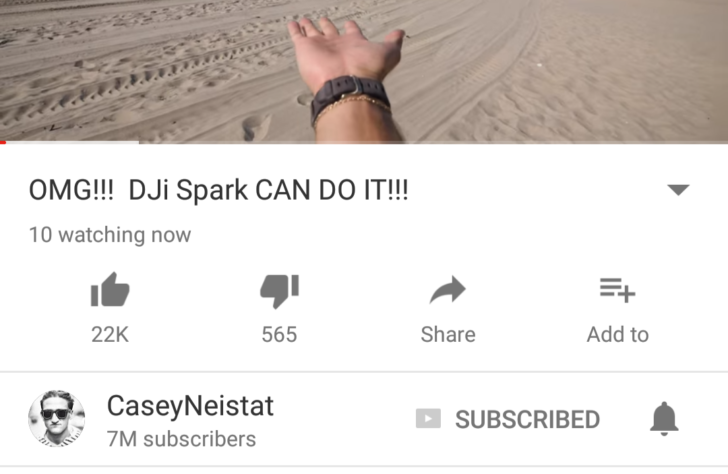 The live watch count appears above the like/dislike buttons, and as its name suggests, will display the number of people viewing the video in real-time. The coolest part about this new live watch count is that as you’re looking at a video, you’ll be able to see when it starts to go viral. In fact this live watch count has the potential to increase the rate at which a video goes viral, because many people will be drawn to watch videos that others are already watching. YouTube hasn’t yet confirmed if this will roll out to all users, but we’ll let you know when they do. If you’re watching this video on an Android phone, let us know in the video comments if you see the live watch count, and how many people are watching DMW with you right now! Facebook’s Trending Topics helps you discover interesting and relevant topics discussed on Facebook that may not appear in your News Feed. This week Facebook began rolling out a new dedicated ‘Trending News’ section in the mobile app. Facebook is also testing a mini Trending News carousel in the news feed, but they haven’t yet confirmed if this will roll out to all users. Speed is the key to your business capitalizing on traffic from Facebook’s new Trending News. You must create content fast enough so that it can ride the wave of traffic before it becomes yesterday’s news. In SEO news this week, Google announced Adwords ads will be getting a significant makeover towards the end of this month. This makeover will only apply to mobile ads, and focuses on making ads more useful and informative. Specifically, sitelinks, callouts, and structured snippets will be revamped. Sitelinks are small links that send people to specific pages on your site directly from your ad. These will soon be displayed in a carousel layout, and Google say that “people are twice as likely to interact with your sitelinks in this new format”. 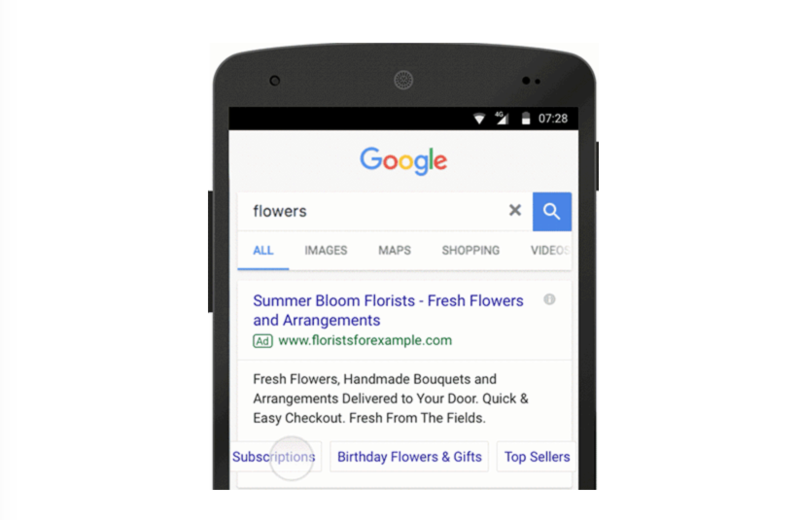 Callouts and structured snippets are text blocks that provide additional information below your ad copy, such as “Free Shipping” or a list of the services your company provides. Currently callouts and structured snippets appear on a separate line after the ad copy, but following the makeover they’ll blend in with the ad. The new ad formats will automatically switch over at the end of this month, so you won’t need to change your workflow to take advantage of the new ad formats in your business. DMW has hit 10,000 subscribers! To say thank you to our loyal DMW community, we’re giving away a 12-month Content Samurai pass valued at $1164 to one lucky viewer. We use Content Samurai to make this Digital Marketing Weekly content, and we’d love to see you making your own video newsletters too! To enter the competition, click the like button and leave a comment on this video letting us know what you love most about DMW. So make sure you leave a comment below the video right now for your chance to win, and then tune in next week to see if you’re the lucky winner!